Quill + Oak | I've never hired a wedding floral designer. How does this work? Most of my clients have never booked a wedding florist before. As with almost all parts of planning a wedding, it can be an intimidating process! I am one of those people who wants to read all the things and be as prepared as possible (keener much?) and figured a detailed break down of my consultation booking process would be helpful! So here it is: How to book a wedding florist. What does a wedding florist do? My goal is to enhance your special day with flowers. They have this incredible ability to help tell your story by reminding you of time and place. Whether you’re tying the knot in May surrounded by peonies and lilac or in September with dahlias and crabapples, I want to make sure there are unique touches that will help you remember your day 5, 10, 50 years from now. We work together to come up with a plan that feels just right and then I work my flower fairy magic to bring it to life. I want to make sure you love what we do. Have a look through past real weddings to see how happy our past couples look. Imagine yourself on your day smiling like that! I want you to see yourself celebrating this incredibly important day! Then have a look at the styled shoots we’ve worked on. 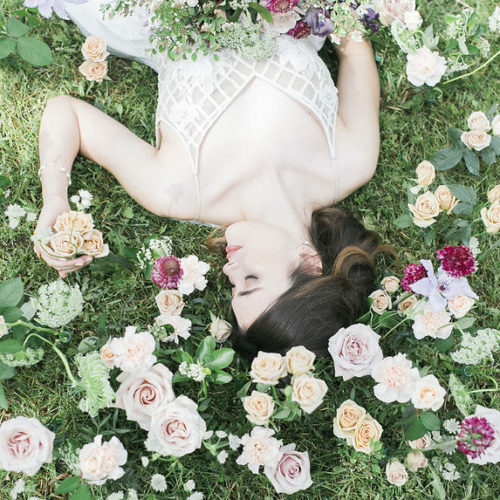 Styled shoots – while not “real” can show what I enjoy making, doing or experimenting with. It’s a great way to get inspiration or see some unique colour palettes in action. Are you excited for a dramatic ceremony backdrop or do you want loose foliage draped all over your big tent wedding? You are looking for the Full-Service option. Click here to get in touch or keep reading to learn more about the consultation process. Or do you just need a handful of bouquets and a few small arrangements for your cocktail reception? Check out Acorn. No need to inquire, just browse the options. When you’re filling out the Full-Service Wedding Inquiry form please give as much detail as possible. It will really help me to understand what you’re thinking so we can give you the best service possible. If your vision is out of line with your expected budget, I will let you know. This will help me brainstorm alternatives so our consultation can be as useful as possible! If you don’t know what you want – thats ok too! Any info you can give us is helpful to give us a jumping off point. You don’t have to be a flower expert – we’ve got that covered. My goal is to meet you where you are and come up with a plan you’ll love. a few inspiration photos – doesn’t matter if you like the style or the colours or the overall feel – just that something about the photos excites you. I try to get a visual proposal out to potential clients within 7 days of our consultation. This will detail all the things we discussed plus my recommendations broken down by item. I will even include some reference photos to make sure we are on the same page. If you’re nervous that you might have small changes, don’t sweat it. We will touch base before your final payment to double check everything. I ask potential clients to take no more than a week to review the proposal and request any changes necessary to get the proposal to a place where you feel comfortable. To make sure you love the proposal, I include one revision as part of the consultation process. I will hold your date during this review period. After the review period, I ask clients to either accept the proposal or decline it and move on. To book, I require your first payment (40% of your estimated total) and a signed contract. Without both your first payment and contract, I can’t reserve your date. Once it’s official you can relax about your flowers! The remaining balance will be broken into two payments (around 8 weeks and 4 weeks out from your wedding) but don’t worry! I will remind you about this! Before your final payment is due at 4 weeks out, we will schedule a quick phone call to go over all the details again. 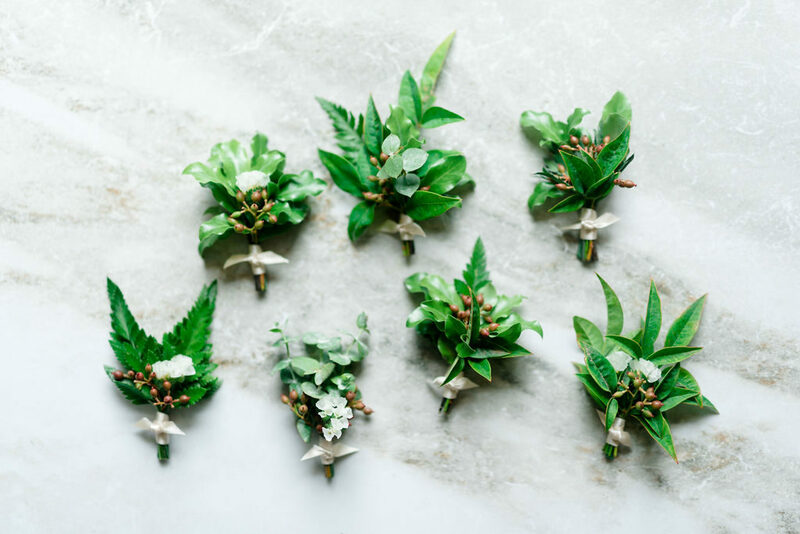 This final call is super important because I know things can sometimes change – maybe you need a few more boutonnieres or maybe you’ve decided to nix them altogether. No sweat. We will confirm all the table numbers, ribbon colours, little extras you might want to add like cake flowers…etc. We will also talk through the delivery logistics and your timeline to make sure everything goes smoothly. That’s it. I’ll take care of all the flower things. You guys celebrate. It’ll be beautiful and special day!